Talk Tuesday: Make Your Life Beautiful! Let your imagination run wild. 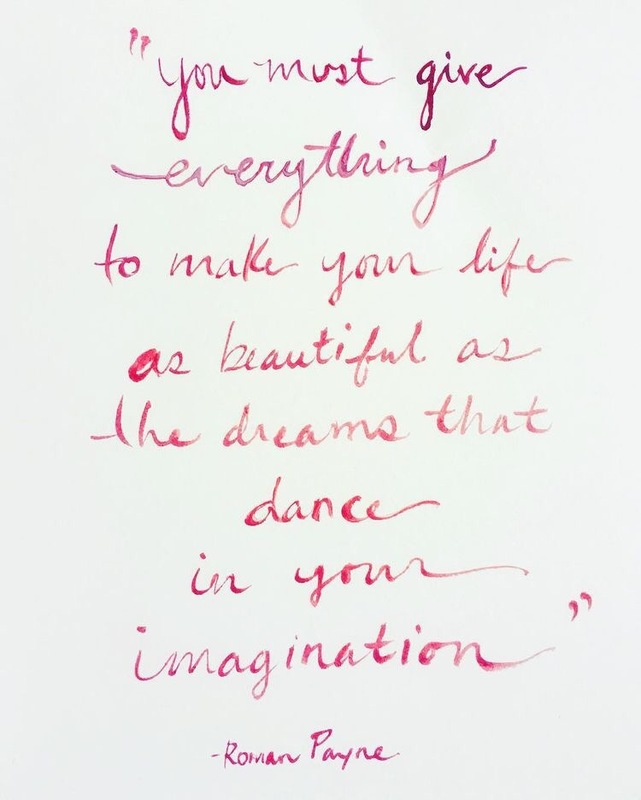 Let your dreams dance around in your head. Dream and dream some more. Dream BIG and then BIGGER! Open your eyes and visualize your dreams coming true. 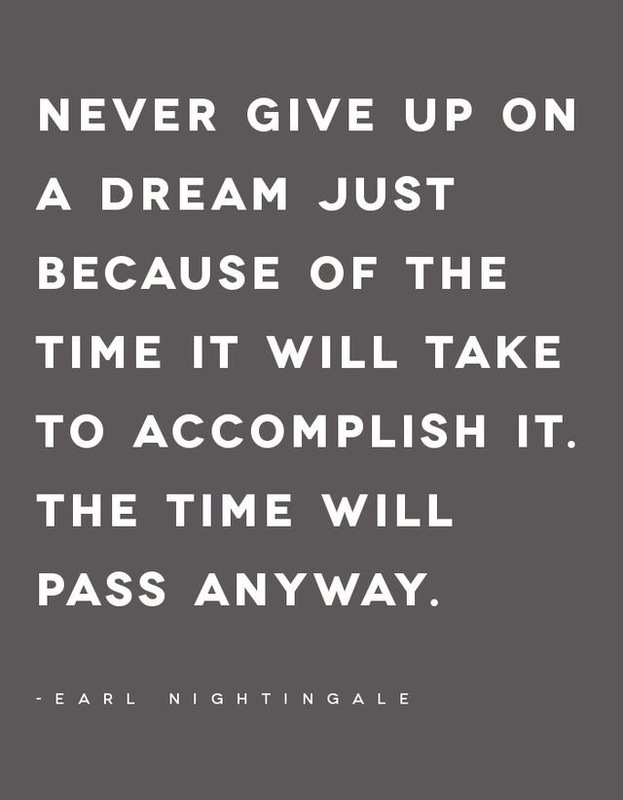 Work hard and continue to work on your dreams. Let them become a reality. Make your life as beautiful as your dreams. Make your dreams come true. Think Thursday: It’s Never Too Late! It’s never too late to do something you’ve always wanted to do, to go after your dreams and make them come true. It’s never too late to apologize or forgive and to leave things in the past that are meant to stay there. It’s never too late to let go of the hurt, the pain, the problems, the what-ifs and let God take control of all aspects of your life. It’s not too late to make the last few hours of 2015 count. 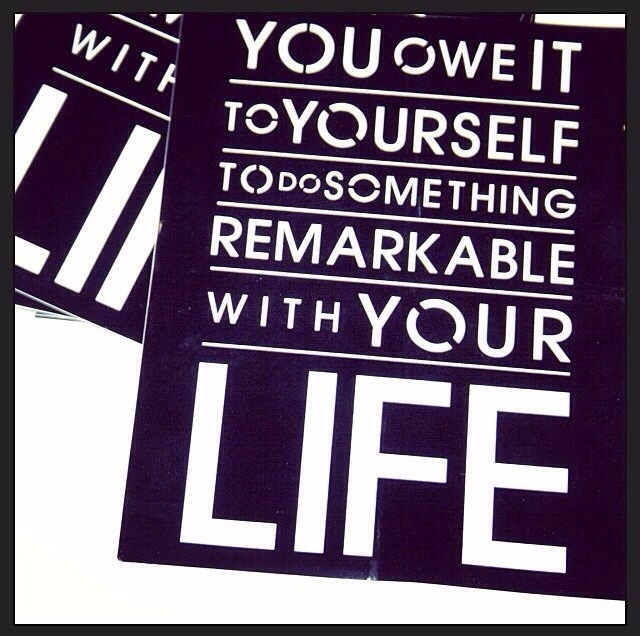 How will you make the best of it? Talk Tuesday: Step Out Of Your Comfort Zone! Stepping outside of your comfort zone is not easy. It can raise your anxiety level and trigger a stress response. The way you handle that stress is completely up to you so not why turn it into a positive and make stress your friend (How? Click here). Get out of that behavioural state of mind where you set limits on yourself causing you to deliver a steady level performance. No more setting boundaries, instead increase your limits. Experiment with new and different behaviours, positive ones and see changes occur within your environment. It’s ok to be comfortable and to want that sense of security but not when doing so limits your dreams from becoming a reality. Life is about taking risks (at times) and following your dreams (all the time). 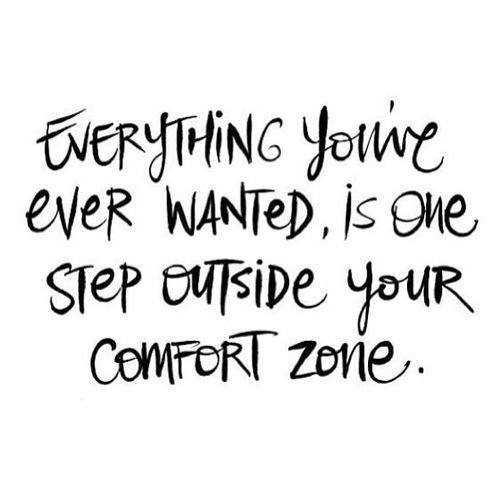 So step outside of your comfort zone! 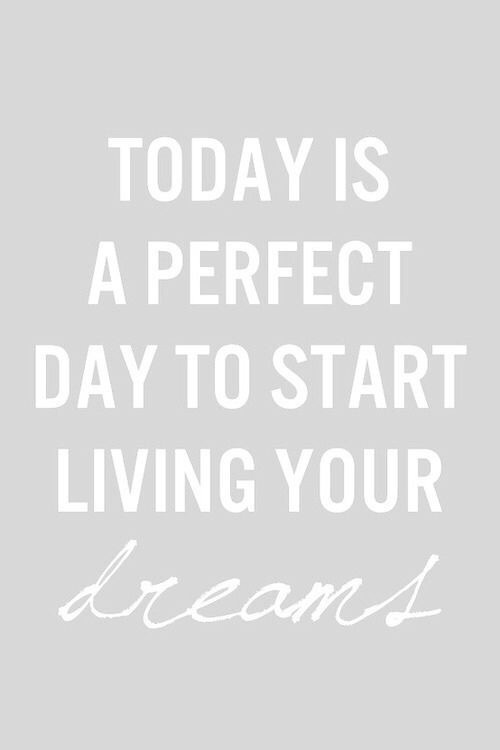 Especially knowing that everything you’ve ever dreamed of could be a step away. It does not mean that it will be easy but it may just be worth it! Are you willing to take a step outside of your comfort zone? Doubt is a status between belief and disbelief. Although it may at times call on reason (like when you hesitate or think twice before acting), it usually involves uncertainty, distrust and non-acceptance. It also affects your state of mind leaving it stuck between two contradictory emotions because perception of “reality” is tainted. It makes you question what’s real. Doubt can have power over you but only if you let it. Do not let doubt cloud your judgment, delay your plans or reject your promise out of concerns for mistakes, faults or failures. Do not let it prevent you from fulfilling your purpose. 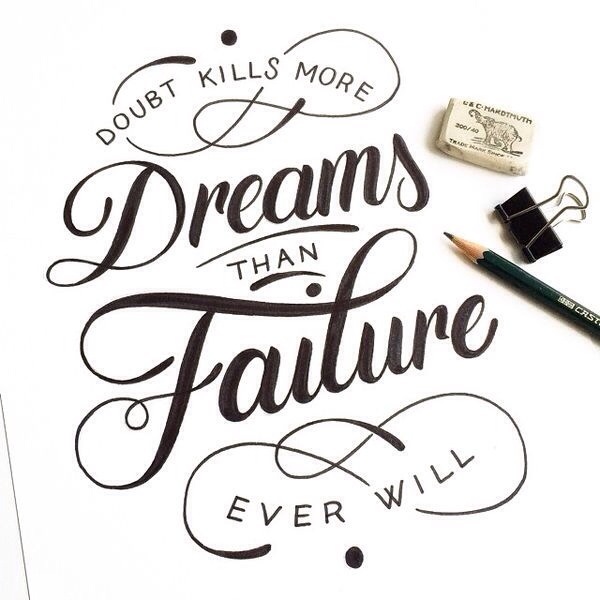 Do not let doubt kill your dreams! Believe that you can overcome obstacles. Believe that you can accomplish your goals. Believe that you can make your dreams come true. Leave no room for doubt in your life. 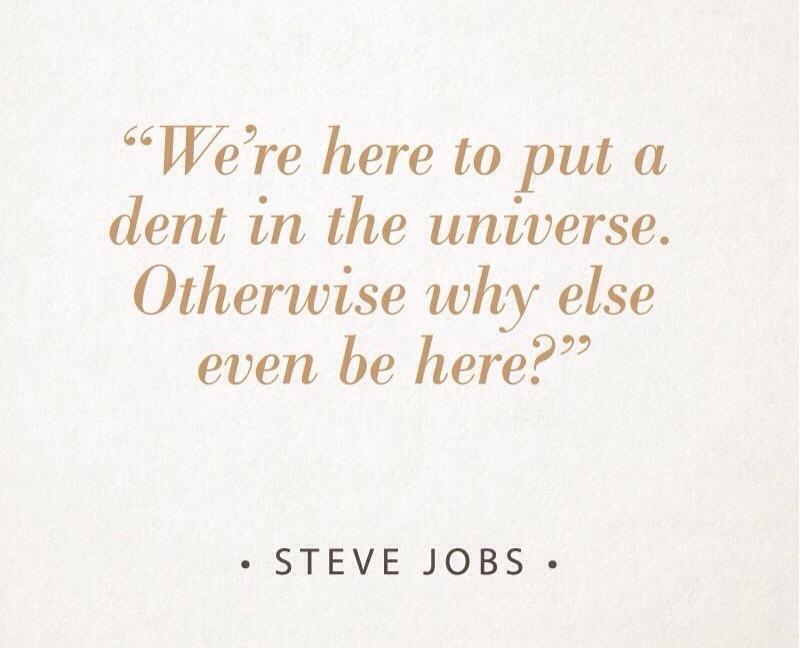 Talk Tuesday: Make A Dent In The Universe! One of the hardest lessons in life is figuring out what your purpose is. Some are fortunate enough to walk right into it while others struggle with the limitless possibilities of what it could be. One thing is for sure, we were all put here for a reason. Listen to your heart. Follow your dreams. Pursue what you are passionate about. Do what you have set your mind to do. 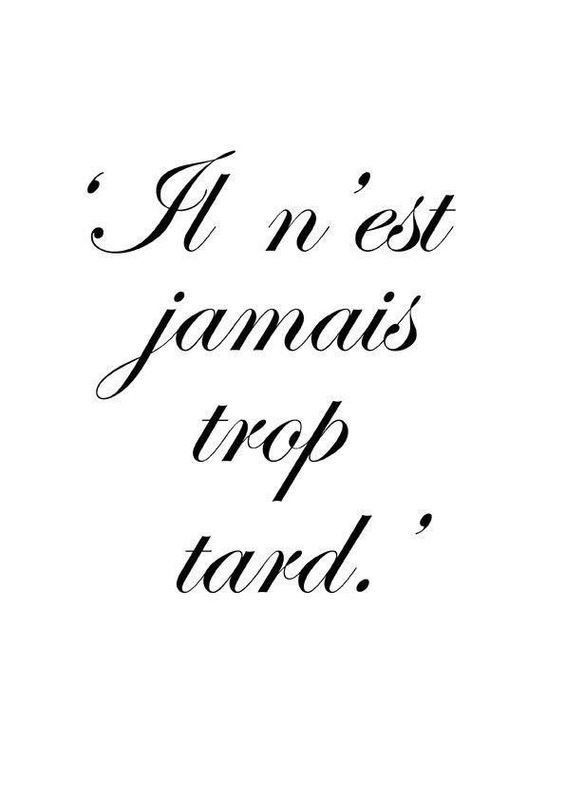 If it fails, try and try again! After all, you won’t know unless you try. Whether you are walking in your purpose or still trying to figure out what that is, get ready to make YOUR dent in the universe. Are you ready? 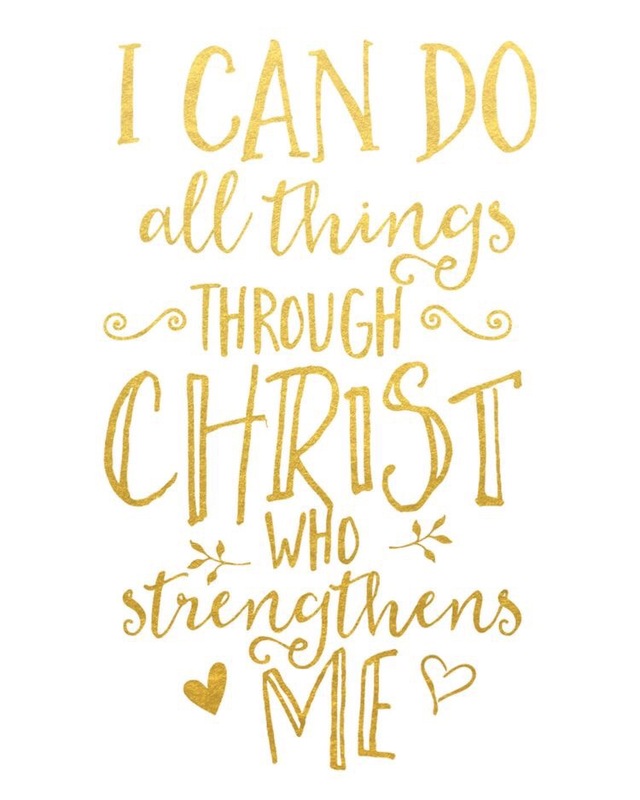 Talk Tuesday: You got this! 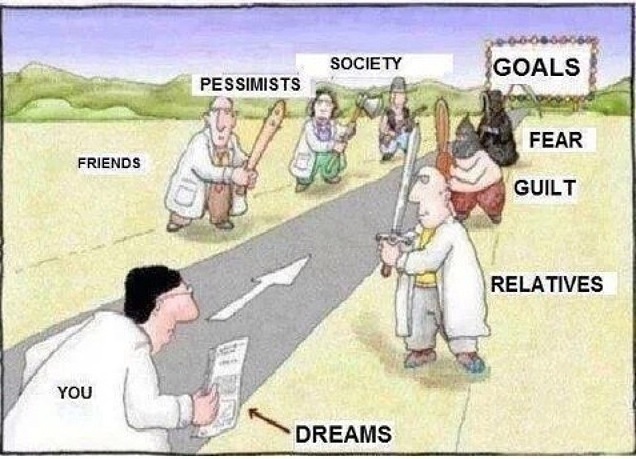 Don’t let anyone get in the way or stop you from achieving your goals! On your path to success, there will be distractions, nay-sayers, haters (sometimes even friends or relatives), bullies, obstacles and/or hurdles in your way but as long as you stay focused, you can overcome all of those things. Society, fear or guilt won’t stop you. You just have to believe, stay focused and keep pushing! We got this!